I speak regularly on topics related to Tolkien, Lewis, and imaginative apologetics, in both the U.S. and internationally. If you are interested in having me come to do a lecture for your conference, university, or group, please be in touch! My email address is hollyordway (at) gmail (dot) com. January 29: “Tolkien’s Modern Sources: Dunsany, Shorthouse, and a Mythology for England.” Oxford C.S. Lewis Society, Oxford, England. February 12: “Inside Tolkien”: the Sheen Center & Morgan Library and Museum, New York City, NY. February 23: HBU Apologetics Day conference, The Woodlands, TX. March 7: Newman Centre, University of Toronto, Toronto, Ontario. March 8: Tyndale University College English Department, Toronto, Ontario. March 19-20: C.S. Lewis and Friends Lectures, Memphis Theological Seminary, Memphis, TN. March 20: “Tolkien’s Modern Sources”: Memphis C.S. Lewis Society, Memphis, TN. March 27: Panel discussion: “The Current State of Lewis Studies.” Houston Baptist University, Houston, TX. March 29-30: “Tolkien and the Function of Fantasy” & “Imagination and Meaning.” Weatherford College, Weatherford, TX. April 13: Quaeritur, La Crosse, WI. June 27: Regent University study abroad program, Oxford, England. July 10: PSDA Church – C.S. Lewis study trip, Oxford, England. Sept. 10: Renewal Ministries, Ann Arbor, MI. October 9-10: Jack, Joseph and Morton Mandel Humanities Center , Cuyahoga Community College, Highland Hills, OH. Feb. 25, 2021: “Tolkien’s Modern Reading”. Newman Centre Catholic Mission, Toronto, Canada. January 30: “Hidden in Plain Sight: Tolkien’s Influences from Children’s Literature and Popular Fiction.” The Oxford C.S. Lewis Society, Oxford, England. February 8: morning: Chapel talk (for students); afternoon: “Imaginative Apologetics: What It Is and Why We Need It” (for teachers). Portsmouth Christian Academy, Dover, NH. February 17/18: RCIA retreat at Blessed Sacrament Church; talk and Q&A with confirmation class, Roncalli Newman Center. La Crosse, Wi. April 14: “Imaginative Apologetics: What It Is and Why We Need It”. C.S. Lewis Institute of Northeast Ohio – Fellows Program, Youngstown, OH. May 1: Sacred Heart Elementary School (teachers and parents), Cashton, WI. June 27: Regent University, CS Lewis study abroad class, Oxford, England. July 17: Auburn University study abroad program, Oxford, England. July 27:-28: Plenary & breakout session, Steubenville Defending the Faith Conference, Steubenville, OH. August 10: “Witnesses for Christ” conference. Diocese of La Crosse, WI. September 21-22: Francis A. Schaeffer Institute Special Lectures, Covenant Theological Seminary, St.Louis, MO. September 25: Wheaton College Tolkien Society, Wheaton, IL. November 11: Roncalli Newman Center, La Crosse, WI. December 5 & 12: Advent devotional series, Blessed Sacrament Parish, La Crosse, WI. February 7: “Past Watchful Dragons: Imaginative Apologetics and Why We Need It” – Regina Angelorum Academy, Ardmore, PA.
February 21: St Joseph the Workman Cathedral Young Adult group. 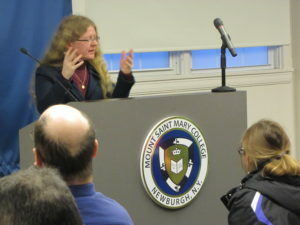 April 4: “Not God’s Type: From Atheism to Catholicism” – Mount Saint Mary College, Newburgh, NY. June 12: Blackfriars Hall Young Adult group. June 28: Regent University – Oxford Study Abroad program. July 25 & 27: “Imaginative Apologetics” sessions – C.S. Lewis “Oxbridge” Summer Institute, Oxford, England. September 16: “The Effects of Friendship: The Influence of the Inklings on J.R.R. Tolkien.” Canadian Round Table, Cambridge, England. September 23: “Tolkien’s Modern Sources: Middle-earth Beyond the Middle Ages”. With Michael Ward, for “Influences on the Work of C.S. Lewis and J.R.R. Tolkien.” Madison, WI. October 4: “From Atheist to Catholic: The Apologetics of Imagination” – Mount Saint Mary Seminary, Cincinnati, OH. October 15: St Jerome’s Church, Oconomowoc, WI. November 3: Ratio Christi, Sam Houston University, Houston, TX. December 17: Writespace workshop: “Memoir 101”. Houston, TX. January 19: “Tolkien’s Modern (!) Sources: Middle-earth Beyond the Middle Ages” – the Oxford C.S. Lewis Society, Oxford, England. February 16: “Not God’s Type: From Atheism to Catholicism.” Legatus, Houston, TX. May 14: “Blogging 101: Developing Your Writing Online” – Writespace, Houston, TX. Aug. 7: “Modern Medievalists: William Morris and J.R.R. Tolkien”. Second Spring, Oxford, England. Nov. 8: Memoir and Creative Nonfiction workshop. Writespace, Houston, TX. Oct. 19: “Tolkien and Modern Fantasy.” Southwest Baptist University, Bolivar, MO. Oct. 16: Gala premiere of Convinced, Orange County, CA. Oct. 14: “Not God’s Type”. St Michael Catholic Church, Houston, TX. Sept 23: “Imaginative Apologetics.” Northwest University, Seattle, WA. June 22: “Tolkien and Modern Fantasy.” Regent University, Oxford, England. May 2: “J.R.R. 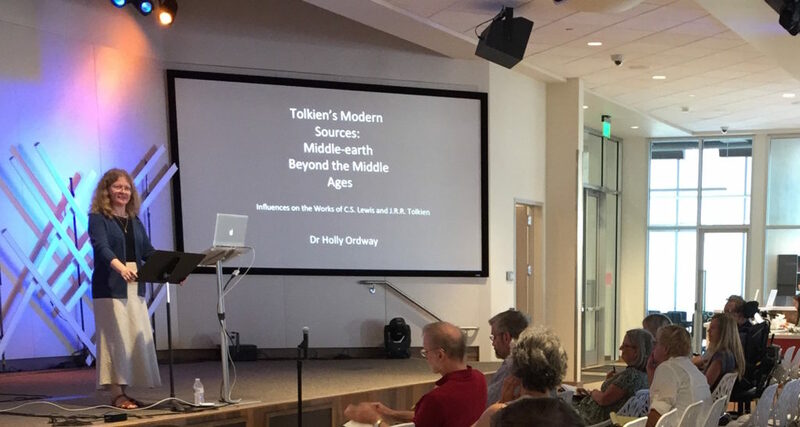 Tolkien’s Literary Apologetics.” REASONS Apologetics Conference, The Woodlands, TX.